University of Pennsylvania officials have identified the student who was struck and killed by a train. UNIVERSITY CITY (WPVI) -- Students and faculty at the University of Pennsylvania are remembering a 21-year-old undergrad who took her own life in West Philadelphia. 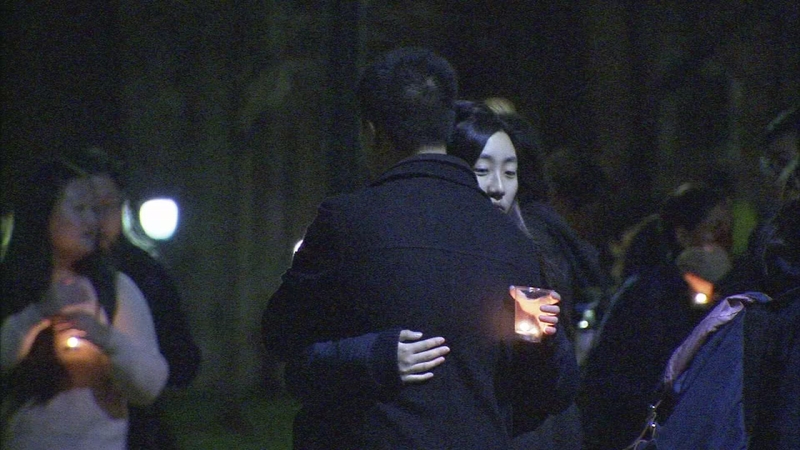 A vigil was held on campus Monday night for 21-year-old Ao "Olivia" Kong, a junior at Penn's Wharton School of Business who grew up in Philadelphia and graduated from Central High School. 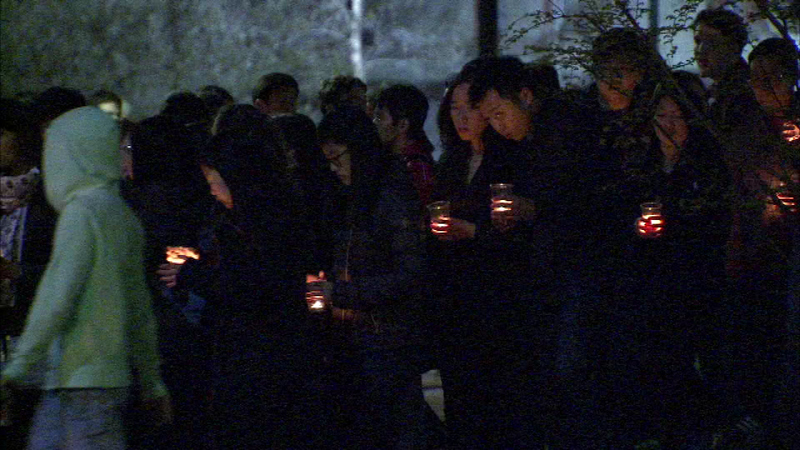 Students held a vigil on campus for University of Pennsylvania student Ao "Olivia" Kong. Police say Kong committed suicide Monday morning by jumping in front of a train on SEPTA's Market-Frankford Line. "She was a bright, well-liked and successful member of our junior class," said Penn President Amy Gutmann. "We have been in contact with her family and have conveyed our deepest sympathies to them at this very sad and tragic time." Kong's death has renewed concern about depression and suicide on the Penn campus, which has seen 10 suicides in the last three years. Freshman Niyathi Chakrapani said she learned about Kong's death during a biology class. "Somebody next to me in class said, 'Oh, I heard she jumped in front of the train,' and then everyone kind of nodded in agreement," Chakrapani told Action News. "We were just very sad together. But nobody was like, 'How could anyone ever do that?' because there've been so many of these at Penn." The university offers an array of mental health and counseling resources for students, including Active Minds, Penn's Counseling and Psychological Services (CAPS), and Bridge, which Chakrapani cofounded. "There are people here that are trying to deal with it," said Chakrapani. "But I think the school itself... it is more of a systemic problem. It's somehow like, 'You're in therapy? What's wrong with you?'" The stigma associated with seeking therapy has led some students to coin the term 'Penn Face,' which they describe as an attempt to mask signs of sadness or anxiety to avoid showing weakness. In a candid interview in 2014, Penn Social Policy and Practice professor Dr. Toorjo Goshe spoke to Action News about the issue. "When we have students' lives at risk we need to address this," Goshe said. It's an issue some students say is still very present. "If you're cool, you're dealing with everything, you're a successful person, part of so many clubs, executive boards, you have a great GPA, social life, and you're not supposed to have problems. I think there needs to be a new culture here where it's okay to talk about issues," Chakrapani said. Philadelphia police continue to investigate the events leading up to Kong's suicide, which happened at 6:59 a.m. Monday on the eastbound side of SEPTA's Market-Frankford Line near 40th Street Station. "We were approaching 40th Street, and the train suddenly stopped," said passenger Anthony Davis from Lansdowne, Pa. "They pulled the power off.... People with flashlights said there was someone under the train."